I have been taking pictures with the Fujifilm Instax Mini 50S for nearly a year now, and while the experience has been completely brilliant – there are some things you really need to get used to when operating the camera. The first thing is that you need to do is love every photo that you take. There is beauty in every single frame – even if it only teaches you what not to do. I had never owned a film camera before – I have grown up using digital since I was a teenager. When using film, particularly instant film like this which is expensive, you have to make every shot count. However do not take this to mean the camera is all serious, it has a whimsical side to it that I adore. With every click and flash the camera noisily whirrs and spits out a credit card sized photo which slowly develops in front of your eyes. The anticipation, excitement and physical photo you’re left with is what make this camera such a joy to wield. This camera definitely takes some getting used to. The problem with this compared to digital cameras is that it costs you money to figure out how best to use it. You could go through an entire pack of film (which contains 10 frames) just figuring out the settings. The most important thing to note is that the flash always fires. No matter what setting you place the camera on, the bright light will always shine. This is because if there is not enough light, the film will not develop so Fujifilm probably thought it best to make sure you always got some sort of a picture – even if it is a really washed out one. This brings me to my second point. The camera has a feature to either lighten or darken the film as it develops. My advice is to never not have it on the darken setting. Once in a while I forget to do this and I’m left with a hazy, washed out colour on my prints. But I love practically every photo I take with this thing and I can’t help it. I was gifted a pair of Mini Photo Albums for Christmas this year and every picture has a place in those albums. I haven’t even managed to fill one completely yet but I look forward to shooting hundreds of photos instantly with this camera because it’s fun, addictive and strangely satisfying. I have been obsessed with using this camera, almost as much as I have been obsessed with my new boots. They were a Christmas present to myself. From Bershka, it’s my second pair of boots from this brand and hopefully they will last as well as the pair I got last year did. This pair weren’t as difficult to break in either – which my feet were thankful for. They’re good because they can be worn with a smart outfit on a night out or with something more casual – which I appreciate. All my clothing items should be able to do double duty. 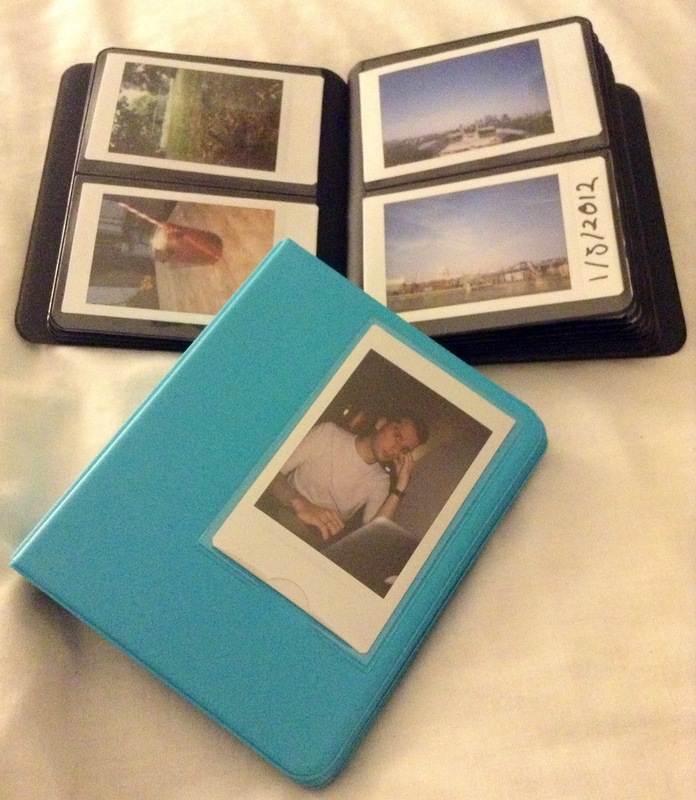 This entry was posted in Geek, Photography, Technology and tagged Fujifilm, Instant Photography, Instax, Instax Mini, Instax Mini 50S, Polaroid by Jonathan Day. Bookmark the permalink.